Every Hire Truck/Tempo company associated with LogisticMart goes through extensive background inspection before we register them with us. We only connect verified and reliable Truck/Tempo companies of Chandigarh. In Last 25 days as of Apr 26 2019, LogisticMart has incorporated more than 4692 requests just in Chandigarh. For each request we do a follow-up call to ensure our customers experience has been worthy. What is the cost of shifting items to long distance? Generally, the cost of your move depends on various things like distance, kind of transportation truck required (big or small), number of labors, extra packing material (if required), moving insurance, octori or toll tax and so on. You can also take help of the moving cost calculator to get an approximate idea of the long distance rate or can get approx charges to hire truck or tempo for shifting in Chandigarh. In winter season, how truck hire firms promise hassle free goods transportation? There is no doubt that shifting, especially in the winter season can be pretty much demanding and challenging. 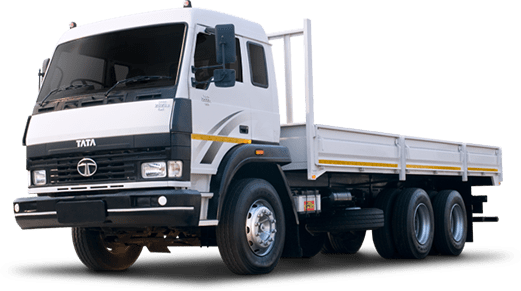 However, the biggest advantage you have got here is the lower transportation costs as the Chandigarh truck rental companies offer attractive discounts on rates due to lack of demand. What are various questions you can ask truck rental companies in Chandigarh before hiring them? How many years you have been in business? What is not included in my moving package? Can you provide me reference of your previous customers? Are you in search of the best shifting service provider in Chandigarh to aid you in shifting your household or commercial goods in and out the city? Then LogisticMart is the ultimate destination for you. 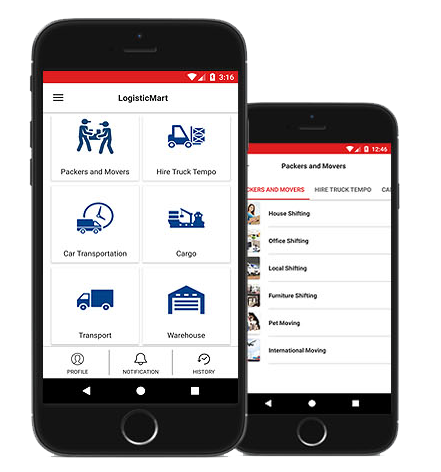 At LogisticMart, we will give you quotes, great deals, genuine review, ratings, comparison of truck rental rates in Chandigarh and many vital features to find the reliable service provider in Chandigarh. The deals that are obtained from various service providers will offer you a great opportunity to compare online as well as choose the perfect service providers easily. We will get you connected with the professional shifting service providers who will offer you tempo for shifting in Chandigarh. Thus your time as well as energy will be saved. Moreover when you will compare before selecting a service provider you will be able to get the best deal in terms of money. So visit LogisticMart and get hold of the shifting service providers who are just a click away. These days you do not have to engage huge time as well as energy during shifting in Chandigarh. Many trusted service providers are available who will aid in transportation services in Chandigarh with ease. We will also aid you in finding the best service providers for shifting in Chandigarh who believe in providing you with excellent services along with complete satisfaction. You do not have to take so much pain in getting hold of the right service provider. Our team of experts at LogisticMart will make your shifting journey comfortable by connecting you with the best in class shifting service providers in Chandigarh. You just need to visit our online portal and fill up the online form. Then our team will get you connected with the reputed service providers easily. We carefully pre-verify the service providers before on-boarding them. Thus you will be able to hire truck and Chhota Hathi in Chandigarh from the service providers whom you will contact through us. Why Should You Rely on LogisticMart? You do not have to spend lot of time in finding the most professional service provider for shifting in Chandigarh. We will help you to find the best one to hire truck on rent in Chandigarh. You will be able to provide you with the best shifting solutions in Chandigarh in a convenient way. In case of any assistance while hiring service of tempo rental in Chandigarh, you can contact our well trained customer staff.